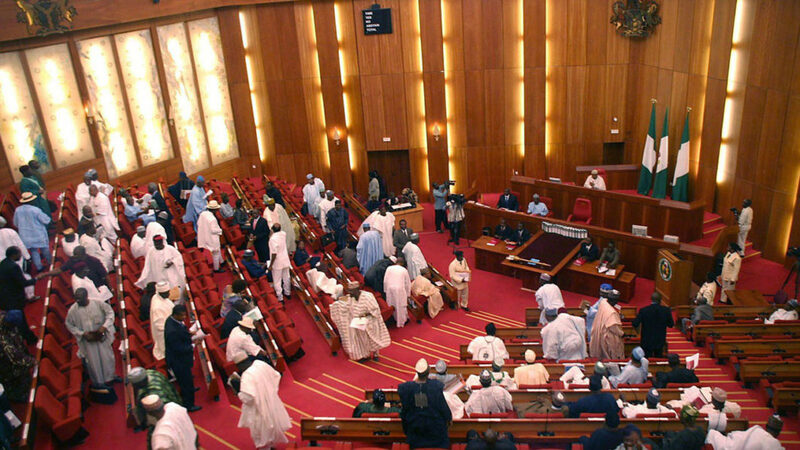 The Nigerian Senate Wednesday urged the Central Bank of Nigeria (CBN) to suspend the Automatic Teller Machine (ATM) maintenance charges being deducted from customers account pending the outcome of the investigation by its committees. The Red chamber also mandated commercial banks in the country to immediately configure their ATMs to ensure N40,000 per withdrawal, instead of the current limit of N10,000. This followed a motion moved by Gbenga Ashafa of the ruling All Progressives Congress representing Lagos State East Senatorial district. The upper legislative chamber also authorised its Committees on Banking, Insurance and other Financial Institutions as well as Finance to invite the Governor of Central Bank of Nigeria, Godwin Emefiele, to explain why the official charges are skewed in favour of the banking institutions as against the ordinary bank customers. The committees are also expected to conduct an investigation into the propriety of ATM Card Maintenance Charges in comparison with international best practices.